When the topic of house renovations is brought up to the table, more often than not the conversation will turn to the economic aspects of it: do we really need this particular renovation? How long will it take? Is it going to increase the house value or are we going to lose money in the process? These are common and important questions to make when thinking of making improvements. Essentials: problems like leaking roofs, humidity in the walls or broken HVAC systems are essential renovations. They might as well not increase the house value, but maintain it and keep it from falling sharply. Also, this renovations are regarded as ‘essential’ because without them, life in the house becomes unbearable. Non-Essentials: luxurious decorations, little-used improvements and high-maintenance add-ons fall within the ‘non-essential’ category. Think fancy garden fountains, or gigantic swimming pools: spending money on these is will hardly increase the house value above certain threshold, and they will require extensive maintenance from the owners. Value-wise ones: the middle ground between a leaking roof and an Olympic-size swimming pool. Value-wise renovations combine taste and necessity. For example, old bathrooms that are fully functional do not count as essential renovation material, but a facelift won’t hurt and will likely rise the value and attractive of a house. Whenever a potential improvement comes to mind, the first thing to do is to place it within one of the three categories mentioned above. If it’s essential, there’s nothing much to discuss about it. If, on the other hand, it isn’t essential, it’ll likely fire up a heated debate. The interesting conversation, however, will take place with the so-called value-wise renovations: it is here where the prospects for a more comfortable life also enable a small rise in the value of a property. Since bathrooms where the first thing that came to our mind when thinking of value-wise renovations, we reached out to Crystal Bathrooms - one of Sydney’s most respected bathroom renovation companies – for a little chat. In their words, the good thing about bathroom renovations is that they empower home owners with choices: there are hundreds of possible alternatives and configurations to choose from. Other renovations - such as replacing roofs or changing entire AC systems – don’t really give room for choices, turning the whole thing into a tiresome process. In addition, people that choose to renovate their bathrooms are usually pleased with the results: bathrooms are something you see every day, and their maintenance does not change: old or new, it requires the same effort. If you're thinking about renovating your bathroom, check out Crystal Bathrooms' Top 10 Modern Bathroom Ideas for inspiration. Whatever you have in mind for your house, don’t forget about the categories: if it’s essential, there won’t be much to discuss. If it’s non-essential, it will be entirely your call. If it’s value-wise, it will bring satisfaction, and hopefully, a little extra money at the moment you need it. This higher level of fragility makes these lights a more expensive option since they’re prone to malfunctioning at quicker rates. On the other hand, the brightness behind Johhny Lee HID lights out ways their flaws. As the current passes through the filament, it heats up and emits light. The Roof covering professionals along with the guys perform congrats obtaining my personal brand new roofing upon. Very first great article, these people required my call. Second, these people arrived on the scene in addition to supply a quote. The great thing has been that we might speak with just about all related events. Lastly, the price had been excellent through roofing contractor. Bridgeport Restoration the kitchen at home so we could not end up being happier with the end result! Michael created a wonderful style that suit our requirements as well as supplied great customer service over the procedure. The daily crew had been professional and knowledgeable, completed the job in a timely manner, and, along with Michael, was very useful once we experienced concerns. We would definitely choose to work with them once again contractorsportlandoregon.net! Many of us purchased a number of Brantford products as well as House 2 home goods Adirondack seats for your patio combined with the pool area 8 weeks ago. The conventional is actually outstanding! We have found the furnishings very easy to keep thoroughly clean. house2homegoods had been wonderful to utilize. Many of us recommend House Two home goods materials product! Walk-In Tub Expert Academy! Our tub feels and appears latest. The children enjoy going for a bubble bath loads now, and i smile on every occasion I bathe as it feels and looks so top in a like contemporary bath. Blake did an awesome job. He even labored on a holiday. 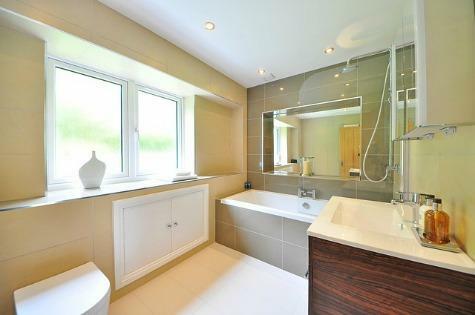 In case you’re looking for a price powerful alternative to buying a contemporary bath.